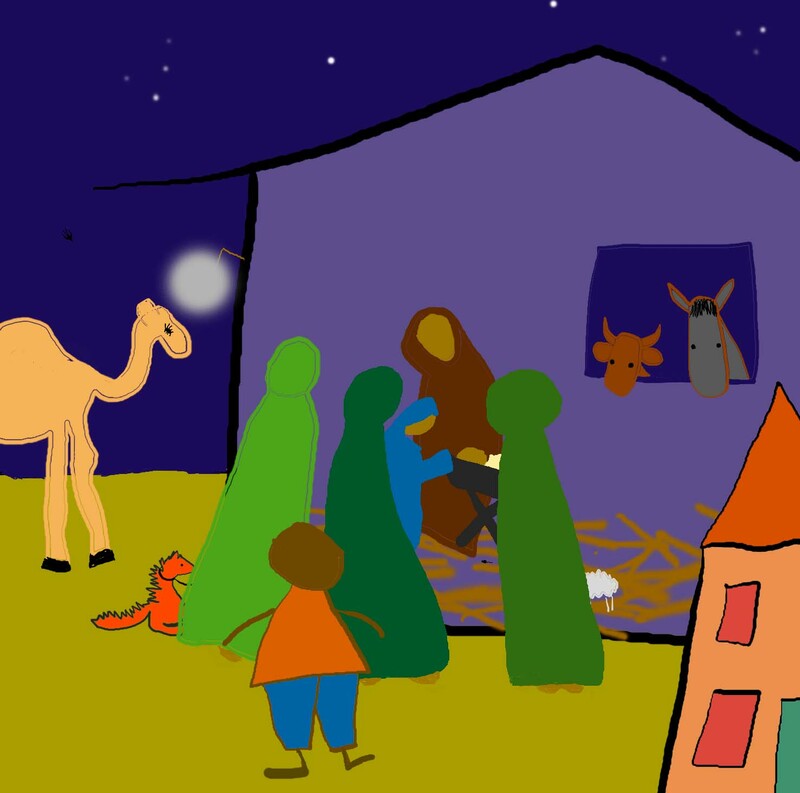 This retelling of the story of the Nativity is presented for an adult to read to a child. There are illustrations and a simpler version of the text which many young children will be able to read for themselves. Sam travels back to Bible times in his Special Time Machine to see what happens. It can be printed in black and white but will be more pleasing in colour. The pdf file is designed to be printed in booklet form so that the longer text page (to be read out to a child) opens facing the relevant picture and the very short version of the story. If your printer does not support booklet printing, try to print the file in such a way that the arrangement is the same: long text page on the left and picture + simple text on the right. To view other artwork by the illustrator, please visit her art blog.